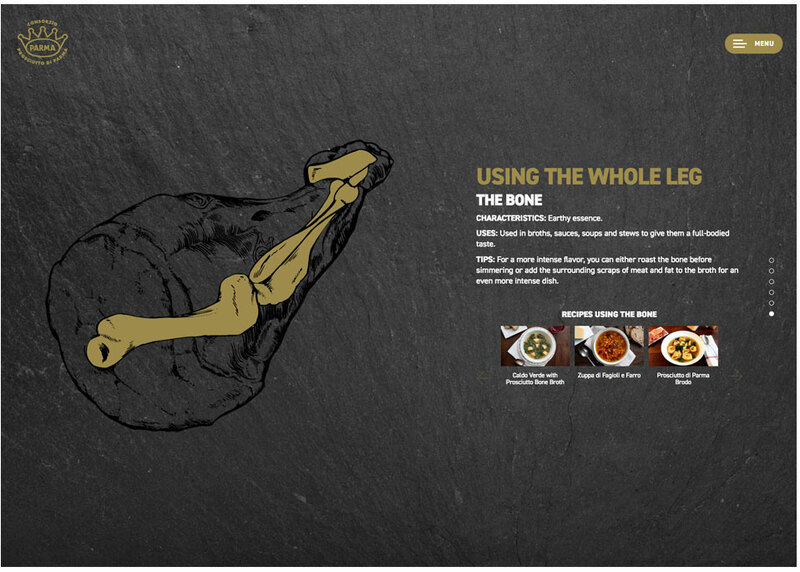 Digital training tools give chefs a leg up. 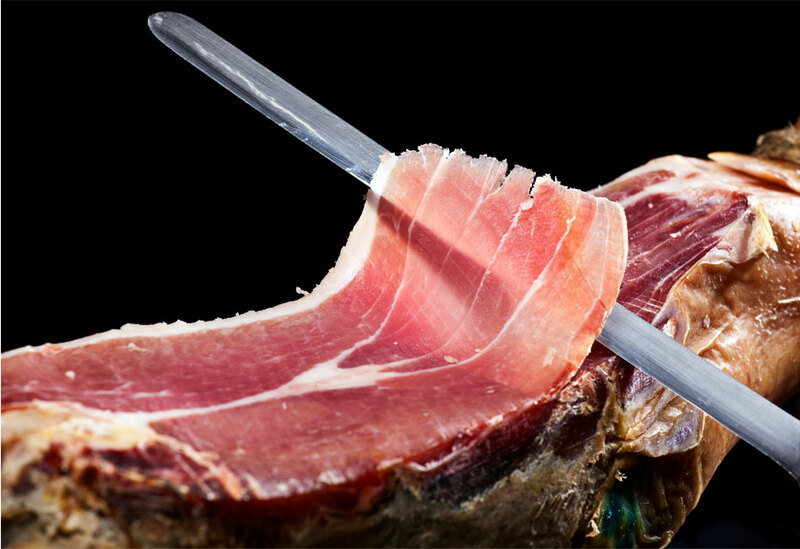 Prosciutto di Parma (PDP), the delectable Italian-cured ham, elevates the dining experience – and commands a premium price. It’s a splurge for restaurateurs, too. 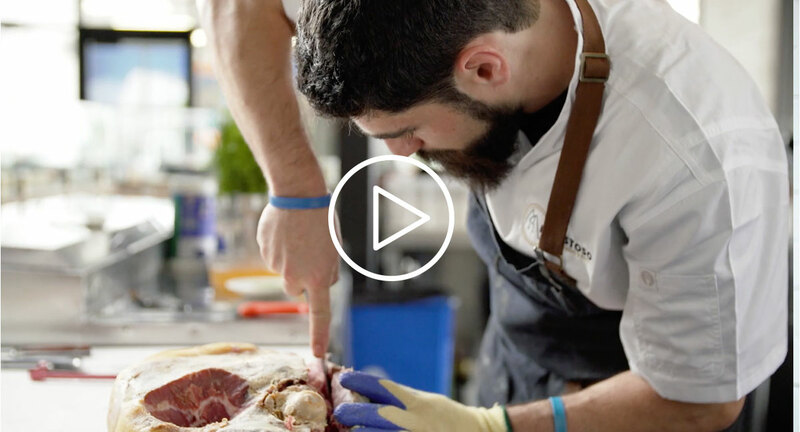 Many chefs don’t know how to render full value from the prized pork. They perceive it as wasteful — a recipe for leaner sales down the road. The Consorzio engaged Padilla to promote PDP among U.S. foodservice professionals. Our challenge del giorno: change attitudes and behaviors through awareness and education. 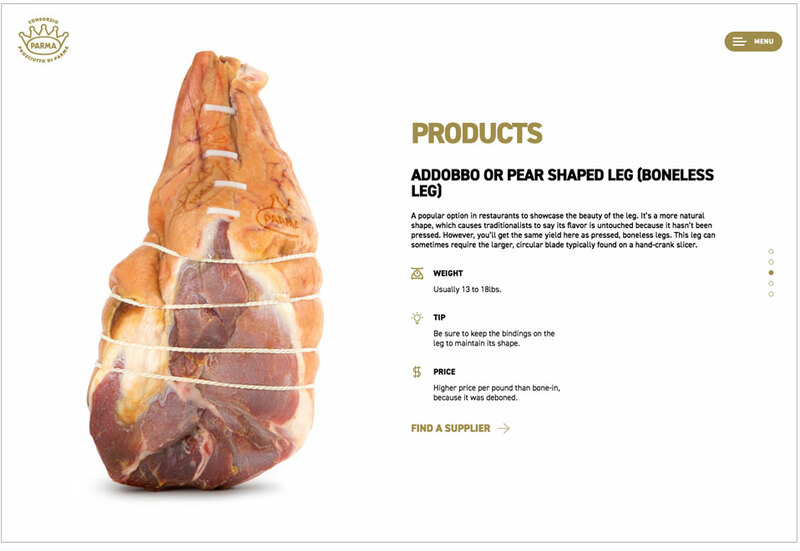 After interviewing foodservice professionals to assess perceptions and knowledge, we learned they didn’t know how to use the whole prosciutto leg. But they were motivated to learn if it meant reducing food waste and boosting profits. Unfortunately, there were few convenient training tools for busy foodservice professionals – and none on prosciutto use. Education was the cure. To guide tactics, we studied chefs’ training opportunities and learning preferences. Up-and-coming chefs — future prosciutto purchasers — were hungry for snackable instruction and recipes accessible on mobile phones or tablets. They also wanted more hands-on training. Many spoke Spanish. And they had little time or appetite for tedious training. Our idea? Teach busy chefs via engaging, mobile-optimized digital channels, including a content-rich website. Inspire creative, economical uses for the ham — from skin to bone. And bring the lessons to life through training workshops at professional chef events and conference sponsorships. Enter: The Whole Leg campaign, with an inviting bilingual website as the training hub. TheWholeLeg.com shows professionals how to prepare and serve PDP. 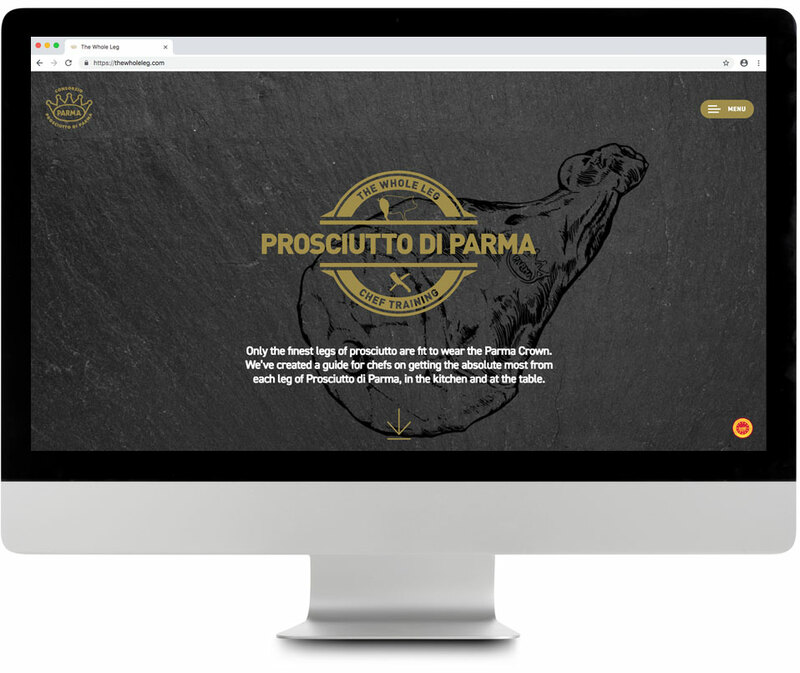 It features unique chef-developed recipes, training videos, links to suppliers and a sign-up form for an e-newsletter featuring ongoing communication and announcements — plus a path to purchase. The site launched with national foodservice trade media coverage, advertising, targeted social media, live training and workshops. Padilla also tapped chef ambassadors to share the program.